After four years of ISIS-Daesh terrorism sponsored by Obama, the ISIS which acted as a proxy terrorist organization on behalf of Washington has finally been defeated. While a new government recently came to power in Iraq, ISIS nonetheless remains active in small pockets on the country’s border. At the same time, some Western analysts predict a resurgence of ISIS in Iraq, with a view to fomenting religious sectarianism. In this interview the Iraqi ambassador to Russia, Haidar Mansour Hadi Al-Athari, talks to renowned journalist Edu Montesanti regarding the ongoing threat of these ISIS pockets within his country. How are local governments is acting to avoid a return and resurgence of the ISIS-Daesh in a Iraq, a country with a longstanding history of culture religious tolerance and peace among Muslims, Jews and Christians. Terrorism is a “Made in America” (“New Fashion) see (video, video and paper). “Despite declaring victory over ISIS, however, there are small pockets still acting individually, which shows the defeat of a once strong ISIS to a very weak one,” rejoices Ambassador Haidar Hadi, in counterposition to media propaganda. In this interview, Saddam Hussein’s regime is also addressed. Edu Montesanti: Some say that the declaration of victory against ISIS late last year was premature. Arguing that the terrorist group remains a deep threat not only because of its own acumen as an insurgent movement, there are analysts stating that Iraq has failed to face the basic needs of the population, to remedy political and social divisions, and to forge a common national framework that unifies the country which soon paves the way for yet another devastating civil war as rival groups compete for control of the Iraqi state. Ambassador Haidar Hadi: The declaration of victory in December 2017 came after more than three years of fighting the international terrorist organization. This victory came as a result of joint efforts between the Iraqi Security forces, Counter-Terrorism Units, Kurdish Peshmerga, Popular Mobilisation Units, as well as the support of the coalition forces and Russia. It was a well-deserved victory, not a premature one as some might describe it. We gave lives of innocent Iraqis and the destruction of our infrastructure, so the price of this victory has been heavy. The Iraqi Government at the time of the fighting against ISIS had important tasks, achieved hand in hand with each other. One task was military, which was to fight the international terrorist organization and its affiliates, and the other task was to provide a safe haven for a large number of displaced Iraqis, forced to leave their homes by providing them basic needs or food, water, medical services and most importantly, a place to stay. The Government also helped a large number of Iraqis to return to their homes after being liberated, and it was successful with the help of UNAMI [United Nations Iraq]. Fighting ISIS has brought Iraqis together, and made them closer than ever before due to the threat was against Iraq as a whole. Declaring victory over ISIS proved that civil war was never a threīat in Iraq and will never be, due to the integration of the Iraqi society as Arabs, Kurds, Muslims, Christians, and other minorities live together for hundreds of years. Edu Montesanti: It has also been said that Iraq’s next war will likely be a civil civil war, one between Shiite Islamist rivals. How do you see that? Ambassador Haidar Hadi: ‫The last successful parliamentary election, which took place on the 12th May 2018, and the formation the new Government in Baghdad were a clear and strong message that all political parties, including the Shite Islamist parties, worked together to make sure the born of the new government, which we witnessed early in October when most Members of Parliament gave their trust to the new Prime Minister, Mr. Adil Abdulmahdi, and his cabinet.‬. Edu Montesanti: ISIS filled a political and ideological void, when it rose in Iraq, in 2014. Does any void still exist today? Ambassador Haidar Hadi: ‫Iraqis practiced their democratic rights in the last parliamentary elections, which proved that Iraq has come out of the ISIS experience as a stronger nation. Iraqis managed to defeat ISIS not only militarily, but also ideologically. Edu Montesanti: The UN envoy to Iraq, Mr. Jan Kubis, said that the group remains active on the western border with Syria, and in northern Iraq carrying out scattered attacks in Kirkuk, Salah, and Din and Diyala, as Iraq’s new government plans to intensify efforts to uproot cells of the ISIS extremist group and introduce “robust measures” to achieve sustainable security throughout the country. How will these measures be put into practice? Ambassador Haidar Hadi: Despite declaring victory over ISIS, however, there are small pockets still acting individually, which shows the defeat of a once strong ISIS to a very weak one. One of the main targets of the new Iraqi Government is to continue the work of its previous one with the help and support of the coalition partners, as well as Russia, to maintain the sustainable stability resulted from the victory. Edu Montesanti: The International Conference for the Reconstruction of Iraq mobilized nearly US$ 30 billion of additional international support for the country. “If we compare what we got today to what we need, it is no secret, it is of course much lower than what Iraq needs,” said Iraqi Foreign Minister Ibrahim al-Jaafari. What are your thoughts about that Conference, and the money mobilized to support Iraq? Ambassador Haidar Hadi: The conference was a clear message of support to Iraq, despite the disappointing outcome of the conference. The Russian delegation was led by Deputy Prime Minister with more than 100 businesses, which shows the weight of Russian support. We are optimistic about the support of our partners to come forward and be part of the reconstruction efforts by the Iraqi Government. As an Ambassador Extraordinary and Plenipotentiary of the Republic of Iraq to the Russian Federation, I have met a large number of Russian businessmen who showed a great interest in being part of the reconstruction efforts. In the past few days, a delegation of Russian businessmen and investors visited Baghdad to explore business opportunities and meet with their counterparts. 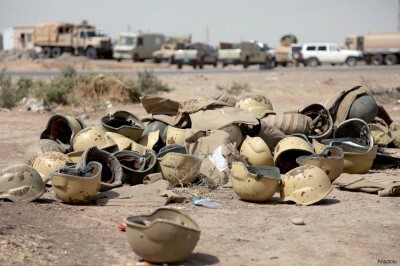 Edu Montesanti: Does Iraq really need a foreign cooperation to definitively win terrorism? Ambassador Haidar Hadi: ISIS is an international terrorist organization, not a local organization, so Iraq needs support and corporation from our regional and international partners. Edu Montesanti: How should this cooperation be? Ambassador Haidar Hadi: We have won the war against terrorism militarily, but we will continue to fight the ideological war. The next war is a war of intelligence. The joint information center based in Baghdad, which have Iraq, Russians, Iranians and Syrian experts which provides important information about terrorist cells, still operates in Iraq in order to our military forces to fight them. Edu Montesanti: To date, how many children have come back from Iraq to Russia and neighboring countries, due to the “Bringing Them Home” Campaign, and how is the project now? Does it follow the same pattern, or has anything changed as a new government recently came to power in Iraq? Ambassador Haidar Hadi: ‬The previous Iraqi Government was very supportive of this sensitive issue, and the facilitated the legal procedure in order to speed up the return of Russian children to their relatives after one of their parents or both killed, fighting alongside the ISIS fighters. Around 25 children under the age of 10 years old were returned home, and we continue to resolve this issue through the Diplomatic and legal channels. The children had entered Iraq illegally, so in order to leave the country a fine of 500,000 Iraqi Dinars, around US$420, must be paid to the Iraqi Government. The new government is committed to continuing to resolve the issue. Edu Montesanti: Some say that during Saddam Hussein years the country was under control, and the foreign policy acted more independently especially from U.S. imperialism, arguing also that Iraq, in those years, was considered by the U.N. one of the Arab countries which most respected religions. How do you respond to it, and what has changed in Iraq since Hussein was overthrown? Ambassador Haidar Hadi: During Saddam Hussein’s regime, Iraqis were living under the fear of prosecution or execution for as simple as telling a joke about Saddam or his regime. In 1991, I was forced to leave Iraq at the age of 21 because a relative of mine used my own car in Najaf Province, during the 1991 uprising; a few weeks later, I was on Saddam’s Intelligence wanted list because they assumed I was driving the car, and being part of those who wanted to change the regime. My only option was to flee the country because I might not have had the chance to prove it was not me driving the car. Saddam’s regime caused Iraq three major wars, invaded a neighboring country and faced a 12-year sanction. This how life was under that brutal regime. Iraq was, still are and will always be one of the Arab countries that most respect religions.